Self-sufficiency will lead The Colonists to Humanity. We are self-replicating robots who are going to land a spaceship on a foreign planet and form a self-sufficient settlement. This is our primary role as The Colonists. Our ultimate goal is to be Human. 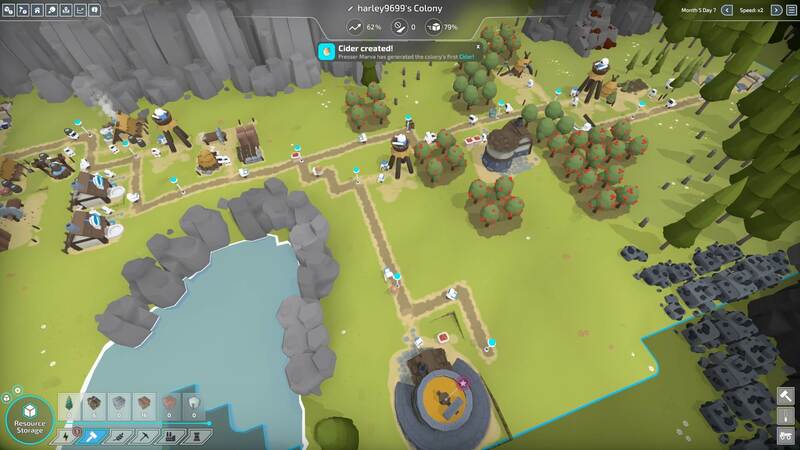 We’ll get there by harvesting resources and building a myriad of different types of structures — on a variety of maps with an assortment of scenarios. For our convenience and efficiency, we will be constructing road, train and boat transport systems. Our settlement will end up being the finest in the universe. These are our plans, anyway. This accomplishment will be fraught with a myriad of obstacles though. Mission by mission, we will increase our knowledge and power to become completely self-sufficient. We will learn how to harvest natural resources — to enable us to build bigger and better technology… which we are constantly researching. Although we’re robotic, in our quest to be human we require food and water. This is especially important as we turn those two into power to run our machines in The Colonists. If we don’t have enough supplied housing, which is churning out the energy we require, our settlement quickly starts to falter. More robots require more housing. More industry requires more power — acquired from the housing. It’s all very nicely interwoven into the fabric of our very existence. When we begin, we must choose to either learn our concepts and build abundantly to our metal heart’s content or we can choose to compete with rival colonies in more of a brutal, militaristic war for supremacy. We would think it wise to learn and understand the basics before trying to compete in an oil-spewing, robot-breaking, military-based competition. We begin as The Colonists by building the basics for what we will slowly need down our path (Conveyor belt? Sorry, just some robot humor there). We’ll need to get the housing up right away as well as starting to harvest wood and stone. Roads and paths are our keys to our delivery systems. Roads are especially useful in The Colonists because each piece can only be between four and six squares long. Although we can only move four resources at a time, we rarely have a need for that many on one section. However, the main benefit of the limited length is that we move materials in an assembly line fashion — so none of us have to carry anything for very far. This feature greatly speeds up the material transfer process that might be seen in similar games. After we build our first research lab, we can begin to discover new technologies that will improve all kinds of various aspects of our lives. Eventually, once we have researched everything at tier one, we will need to upgrade the research facility itself. From there, we upgrade every building possible — while we build every new facility we research. We are going to have the biggest, most productive and functional planet in the universe. We will become humanity’s finest as The Colonists. Side note: As happens quite frequently during my reviews, a major update was released. They added a charcoal burner and additional landscaping tools. However, the main, yuuuuge feature was that they added an Endless Sandbox Mode. Ah, that’s what I’m talkin’ about. I love endless sandbox games. 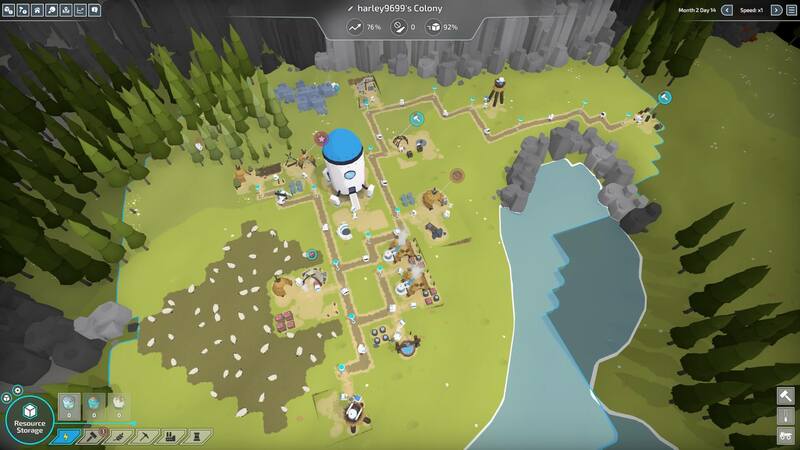 That feature alone really increased the value of The Colonists for me. 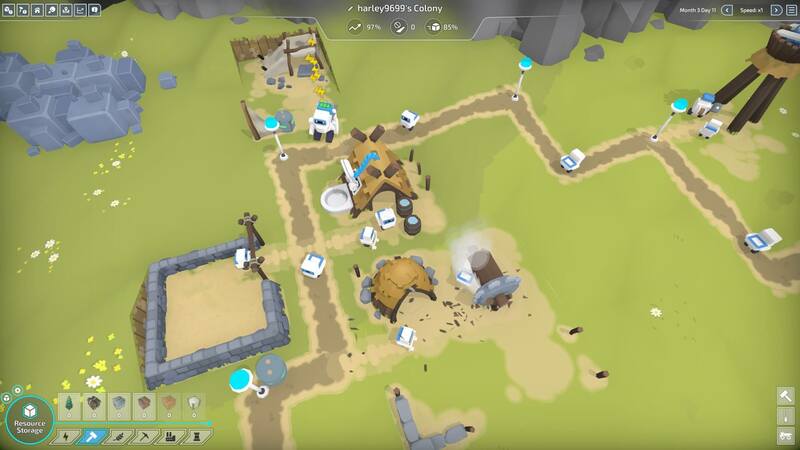 While I’m used to putting all of my buildings as close as possible for maximum efficiency, I have jammed myself up more than once doing that in The Colonists. Mainly, this happens because I can only start a road from an existing post. So, as a guy that’s used to putting all the buildings side-by-side to conserve land area, if I do that here, I’ll end up with no place to start a new road. Not that roads are important… wait a minute, they’re the entire structure of the game! When placing houses, facilities, etc., I always have to be thinking a few steps ahead — am I going to need a road to branch off from there later? 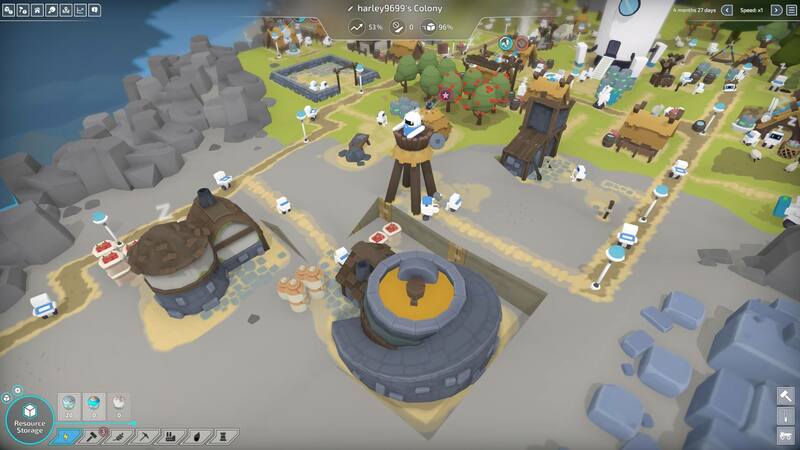 The Colonists is an engaging, strategic and very fun city builder. Each map/scenario teaches you something a little more about the intricacies of the game. By the time you get through them all, you can build this massive, robot-swarming, mega complex of an urban center. Each map’s not limited to the initial piece of ground either. Once you have the technology, you can travel, and work on, other islands that are around you — expanding your human-robots’ territory even further. My hope is that eventually, The Colonists will eventually develop a random map generator. That’d be the oil to top the metal cake. 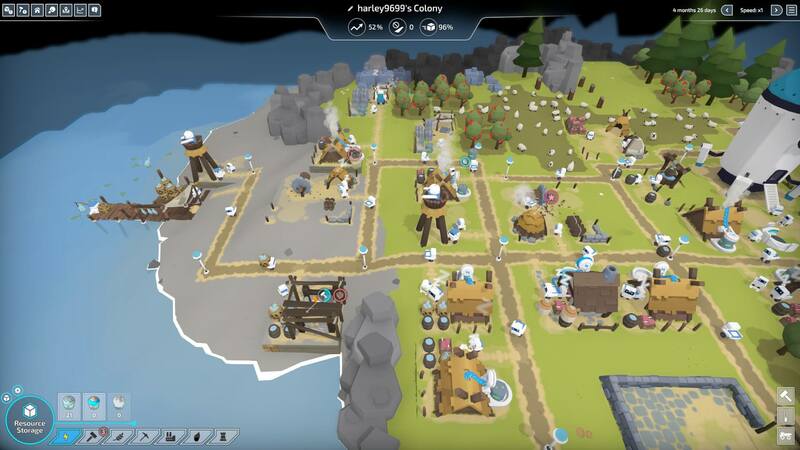 The Colonists was released on Oct. 24th, 2018 for PC.